Food in America; How Fragile is it? LISTEN NOW! John, Greg, and Pat discuss food in America and discuss how fragile it is in view to America’s response to God. They discuss a recent program John watched called “America Revealed”, in which the program was designed to reveal what is happening in America in regards to food mainly how it is grown. The program is designed to highlight the blessed abundance of how food is grown and harvested but John continues to discuss how he saw it as a great vulnerability in light of America turning away from God. They discuss how 60 years ago going out for dinner was a rare thing Americans did and when they did go out to dine it was for special occasions. Today all that has changed necessitating the need to produce more food is to keep up with America’s consumption. Even the cost of water is 50 percent of one farmers cost. Many food items found in our grocery stores today travel thousands of miles. Today it takes just 2 percent of America’s population to produce food for 98 percent. All of this is occurring while many in the church are not honoring God. This is not a sign of American strength but rather a sign of America’s vulnerability since it has become a nation who has left and turned away from following God. It doesn’t take much for that 2% to be affected causing America to be humbled wondering where has all the food gone. We need to cry out to God and ask for His mercy. We can’t be prepared for what is coming unless the church repents. Just like God used Joseph to be prepared you too can abide with God and hear for His leading and directing. 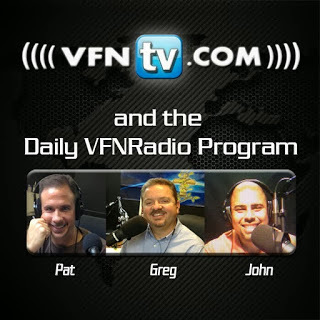 Greg, John, and Pat discuss how God is the God of the Harvest. They continue to discuss how every harvest both spiritual and physical all belong to God. This is a “holiday” that glorifies Baal and darkness where millions of wasted dollars are spent every year. The Bible tells us that Jezebel and Ahab worshipped Baal, the false god, who claimed to be god of the harvest. The Bible describes a show down between Elijah, God’s prophet and the prophets of Baal to prove who is the true God of the harvest. Of course God shows himself strong as the true God of the harvest. They continue to discuss that when we are not tithing to God you are worshiping Baal as the God of the harvest. This fall season is not a time to glorify darkness but instead a time to remember the Lord as the God of the Harvest. It is a time of expressing our appreciation and thanks to the Lord. There is hope for America when we repent and turn to God as God of the harvest. One of the things we can do that they discussed is to take overt action when it comes to the day when many are celebrating darkness and bring darkness to your door. They encourage us to be proactive and make up some baskets with fruit from the harvest with some candy sprinkled in, that does not have dark images, and give them to a few of your surrounding neighbors as a “LIGHT” testimony of God’s provision and faithfulness.